Educators today want to go beyond how-to manuals and publications that merely celebrate the many exciting new technologies as they appear in schools. Students are immersed in an evolving world of new technology development in which they are not passive recipients of these technologies but active interpreters of them. How do you help learners interpret these technologies as we all become immersed in the new information age? The book includes a collection of 32 “Technology Departments” from the Journal of Adolescent & Adult Literacy during 1998-2002. 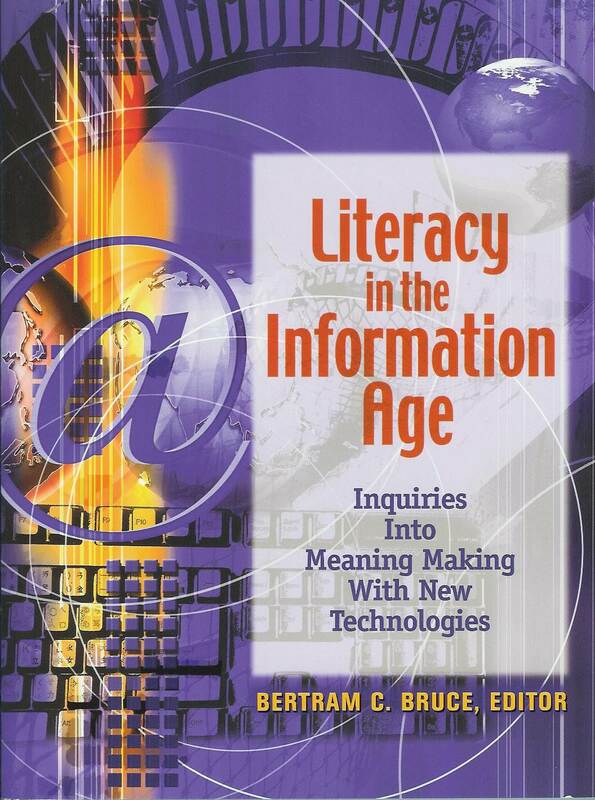 These columns examine critical aspects of literacy in the new information age and the issues surrounding the use of new technologies. They build on specific examples from classrooms, Web use, and other experiences with new digital information and communication environments. The book also addresses issues such as credibility, access, and privacy, and most centrally an understanding of what new media mean for teaching, learning, and literacy development. Educators feel the challenge of preparing students to live productively within this emerging world and deciding what learning experiences can best prepare students for becoming literate in today’s world. This collection provides tools to explore the way new literacies are evolving as they become ever more central in our lives. The book is now available online, including the evaluation chapter in Belorussian. See reviews of the book. This entry was posted in Cape Cod and tagged art, community, course, education, history, ICT, infed, literacy, mybook, philosophy, school, university. Bookmark the permalink.